Home Sheducation Centre American vs Aussie Barns: What’s the Difference? 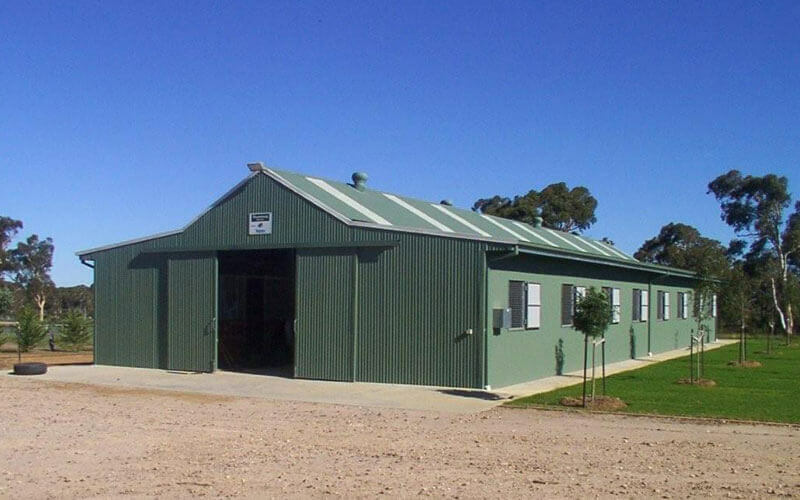 As one of the most prolific suppliers of barns in Perth, we have become a fountain of information when it comes to barns. We have been asked–and have happily answered–almost every question one could imagine about barns from our Perth clientele. One of the most common questions we get is, “What is the difference between an American design and an Aussie design barn?” If you don’t have time for the entire post, here’s the short answer: An Aussie barn is more simply-designed than an American barn; but of course, it’s a bit more complicated than that. The Aussie design barn is fine for most people’s uses. It is unpretentious and rather plain in appearance. When you look at the picture, you will notice a roof that is more of a one-piece design, even with a peak in the middle and “folds” on either side of the peak. 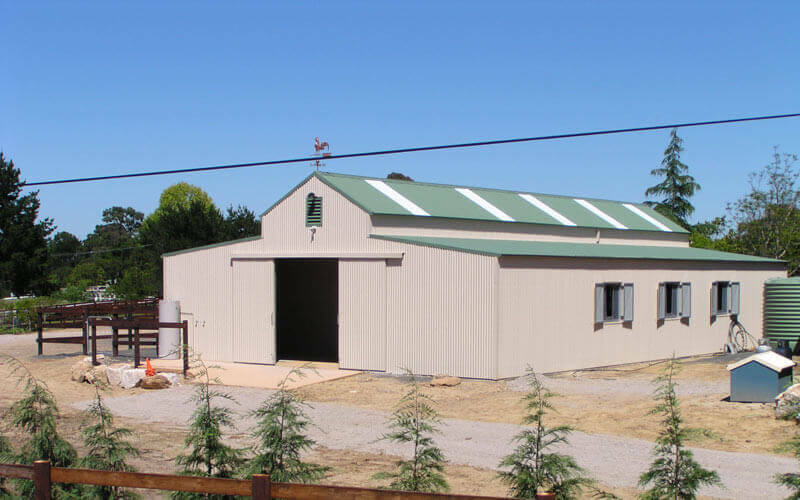 We offer Aussie design barns with plenty of options, such as extra roller doors on the front, rear or both. You can also add skylights, awnings, mezzanine floors, ventilation, personal access doors and internal walls. If you happen to have horses and want to add Durastall stables to your Perth barn, you will want an American design barn. The American design barn can be customised so that our stable kits fit perfectly. In addition, the breezeway in the centre is higher and wider than in its Australian counterpart and the top roof hangs over the bottom roof. The American design is great not only for horses but for boats, horse floats and caravans as well. In addition, it has all of the options that an Aussie barn does, with the added capability of extending the mezzanine floors under the roof overhang as an outside balcony. All of our barns are ShedSafe approved, which means that both the barns and our staff have passed ShedSafe’s rigorous standards for certification. In addition, both designs come with a 10-year structural warranty and 15 years for the cladding. Whether you choose the Australian or American design, Action Sheds Australia will provide a quality product, erected by consummate professionals. For a free consultation, call 1300 778 628 today. We will be happy to assess your needs and come up with a custom plan for you.